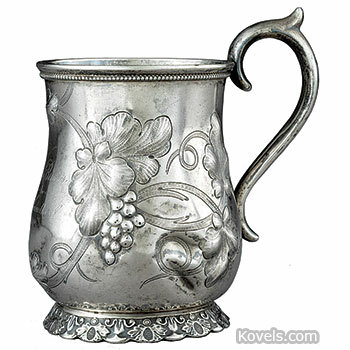 American silver is listed here. 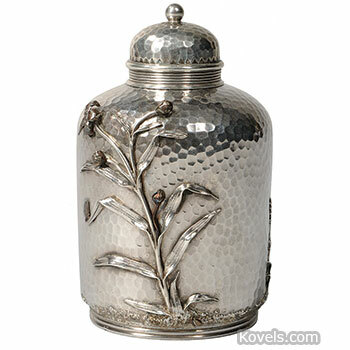 Coin and sterling silver are included. 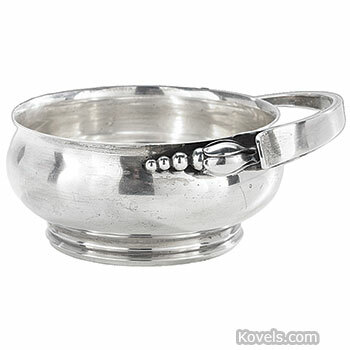 Most of the sterling silver listed is subdivided by country. 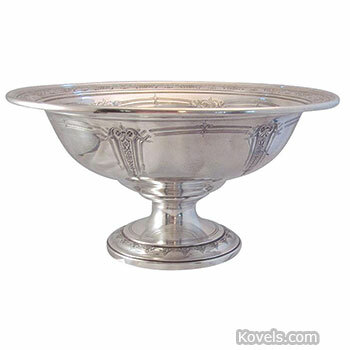 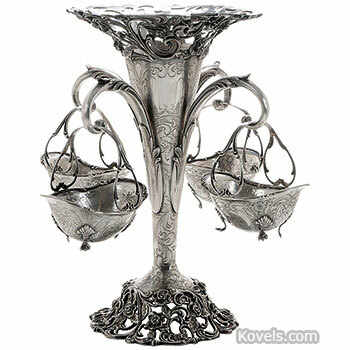 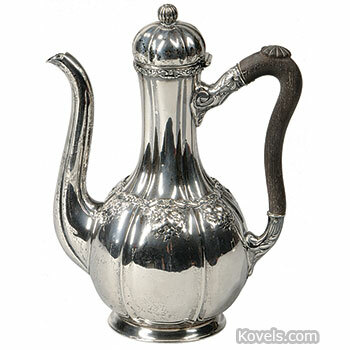 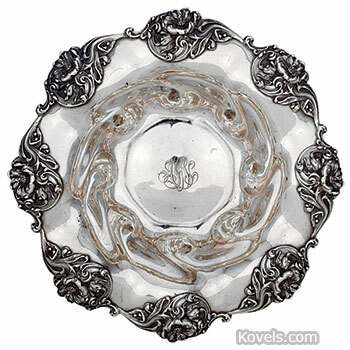 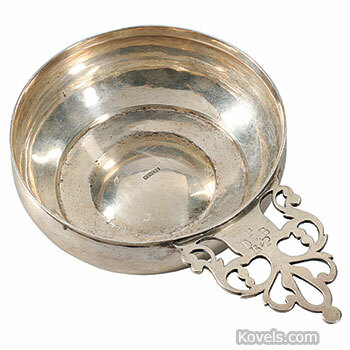 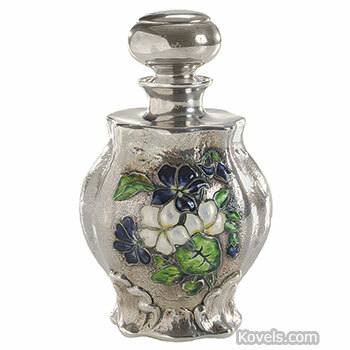 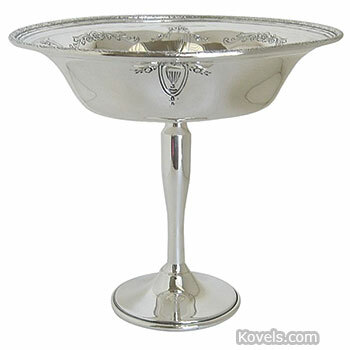 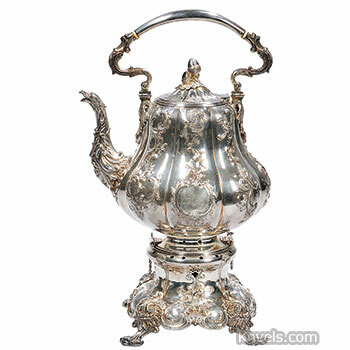 There are also other pieces of silver and silver plate listed under special categories, such as Candelabrum, Napkin Ring, Silver Flatware, Silver Plate, Silver-Sterling, and Tiffany Silver. 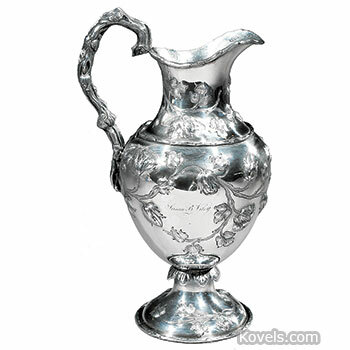 The meltdown price determines the value of solid silver items. 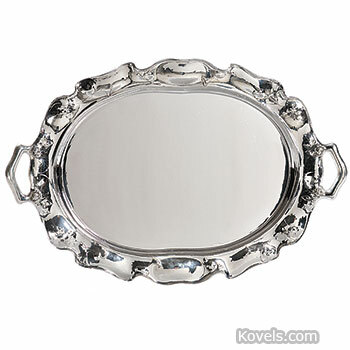 Coin silver sells for less than sterling silver. 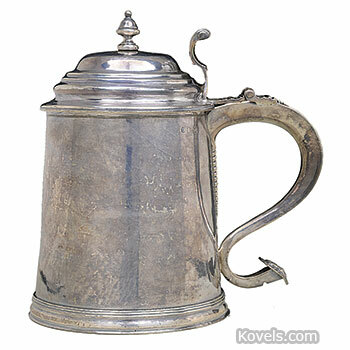 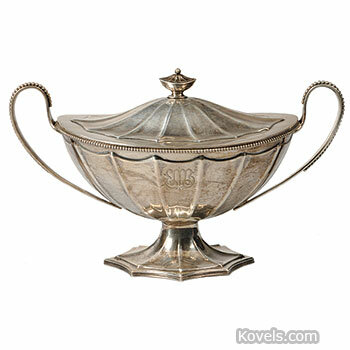 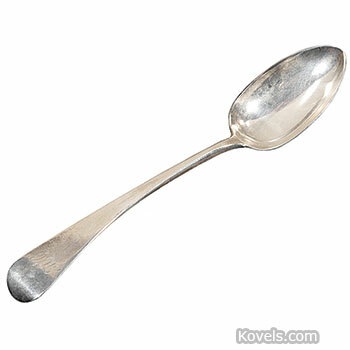 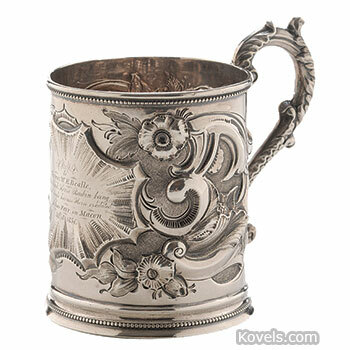 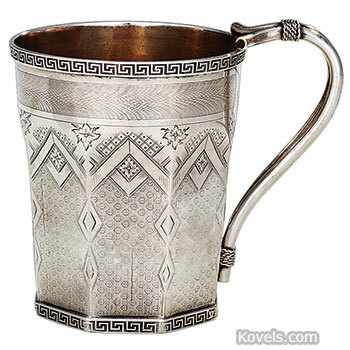 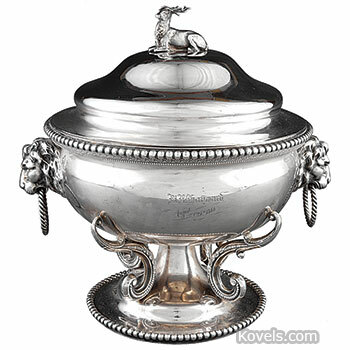 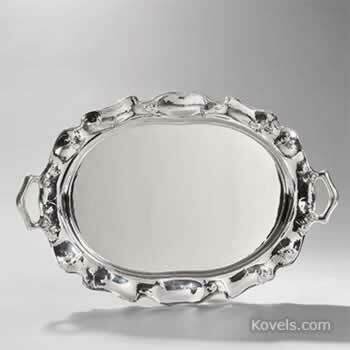 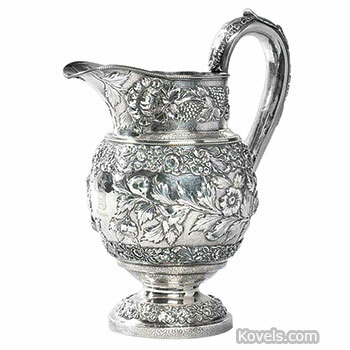 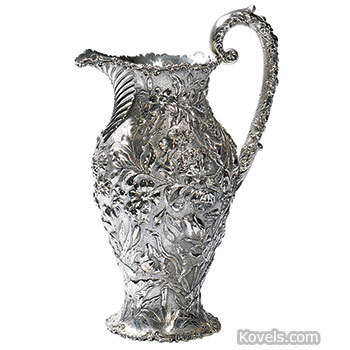 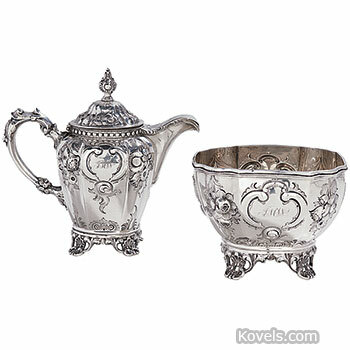 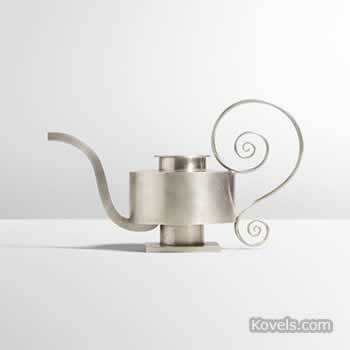 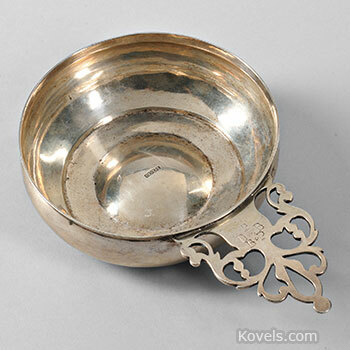 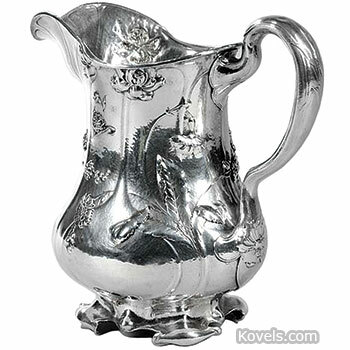 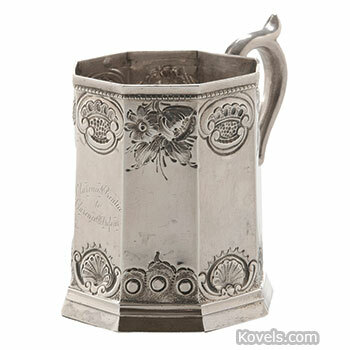 For information about makers and marks, see Kovels' American Silver Marks: 1650 to the Present.